In early January, an anonymous Instagram user posted a picture of an egg, trying to get other people to like it in order to beat Kylie Jenner’s world record of 18 million likes. They succeeded. And now you can date the egg in a video game. 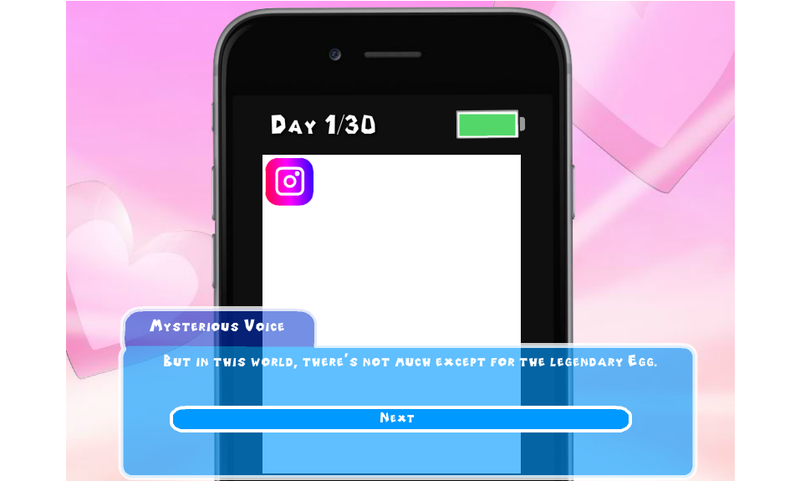 World Record Egg is a short dating simulator on itch.io where you date the famous Instagram egg. 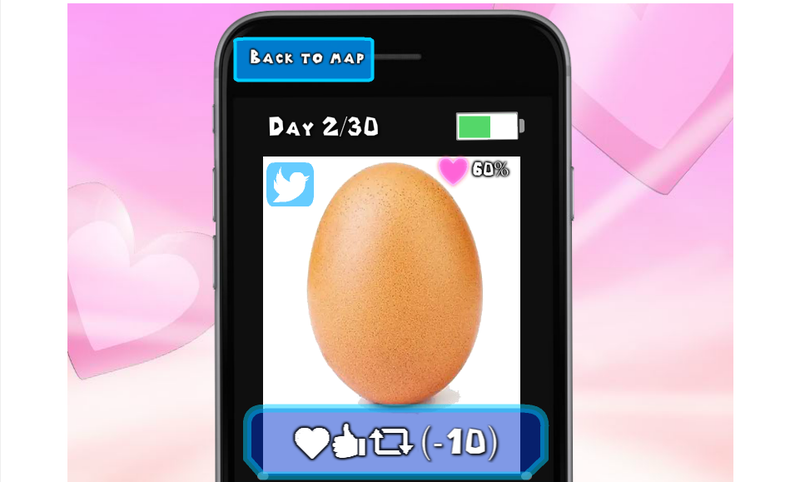 You hop around between different apps on your in-game phone to find the egg, and then bombard it with likes, retweets and thumbs ups in order to increase a meter of how much it likes you, which is indicated by the heart in the upper right corner. World Record Egg has a cutesy visual style and is full of egg-based puns, but it also gets a little weird, which is telegraphed by a “horror” tag on the game store and a warning about jumpscares. Without spoiling anything, I’ll say that you should probably take stock of whether or not you eat eggs for breakfast. Your new paramour may not like that. There are only two different endings, though the developer writes that there are “many secrets to find.” As for which ending I got, let’s just say I, for one, welcome our new eggy overlord. Jezebel Babe, What Are You Doing?